Find out how to create your profile now! 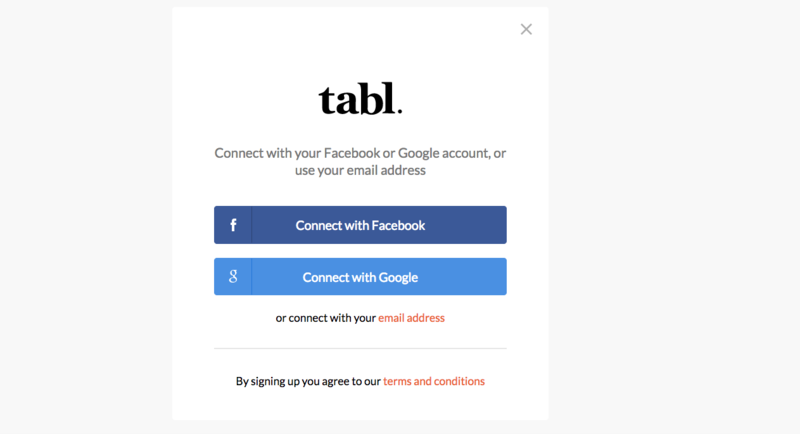 Sign in or create your user account at https://www.tabl.com/users/sign_in. You can use Facebook, Gmail or your email address to create your account. Once you've signed in, click on your face in the top right-hand corner and click on 'Account Settings'. In 'Account Settings' you can upload a profile picture, choose what name you want to display, write a bio and add in your blog/website/instagram link and then hit save! Now, click on your face again in the top right-hand corner and hit profile. This will then take you to your profile page where you can find all of your recipes, articles and videos. Et voila it's that simple! This is the first version of profiles and very soon you'll be able to upload directly to your profile and curate your likes and dislikes. If you have any feedback in the meantime let us know at support@tabl.com.